Fallout 4 VR Will Be Presented At E3 2017 | Nerd Much? 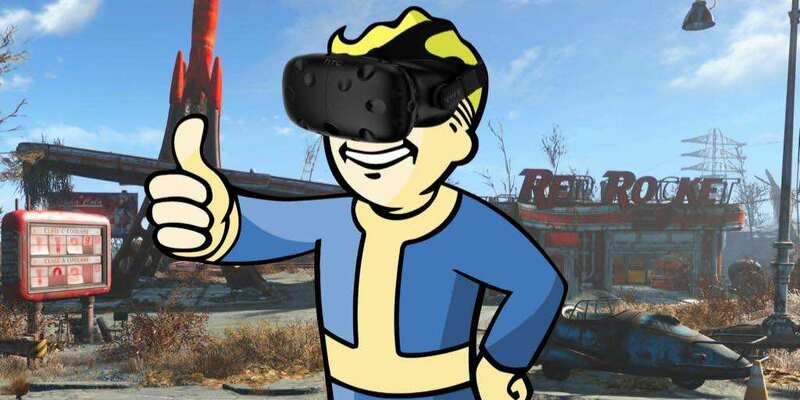 In a brief interview with YouTuber Hip Hop Gamer at PAX East this year, Bethesda vice president of PR and marketing Pete Hines has confirmed that Fallout 4 VR will be presented at E3 2017 on the HTC Vive. As such, it sounds like there’s hope for an actual release date for Fallout 4 VR and a fancy demo at the press conference. We should keep in mind however, that both Howard and Hines are in the marketing business of making every game sound like it’s going to put the pocket in the pita. Or the Kojima in Metal Gear, as it were. Nonetheless, with Fallout 4 VR in the roster and hope for the Wolfenstein sequel The New Colossus, Bethesda just might outshine Microsoft or Sony. But not both, I don’t think that’s possible unless something goes horribly wrong for one of them. Like the Scorpio is actually in the shape of a scorpio and Death Stranding turns out to be visual novel or some such nonsense. For more on this year’s E3, check out our E3 2017 predictions for Sony, Microsoft, Nintendo, and the other publishers.